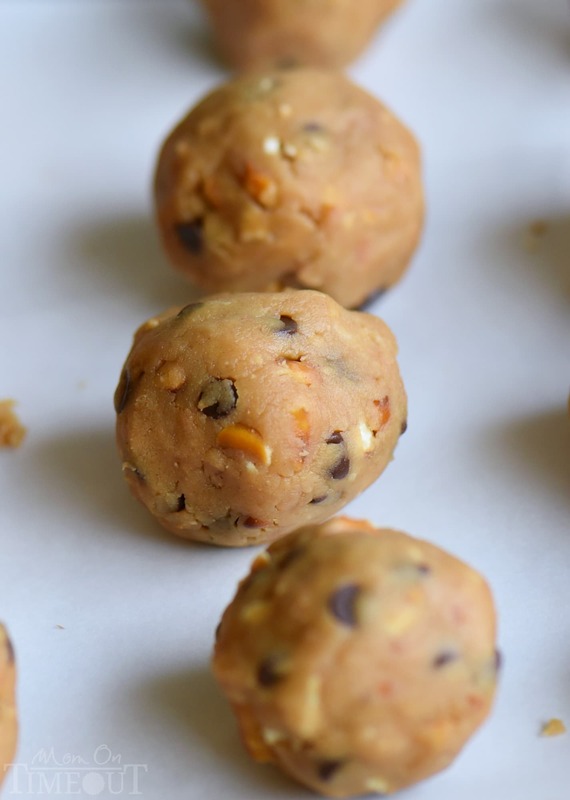 It’s not a party without these easy Peanut Butter Pretzel Truffles! Extra creamy and delicious and loaded with peanut butter, chocolate chips, and pretzels! 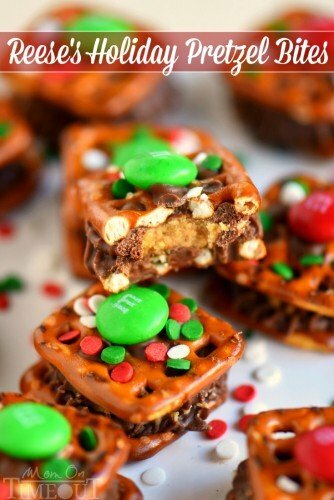 The ultimate sweet and salty combination! This post is sponsored by Frito-Lay. The holidays are my favorite excuse to line our kitchen counters with every kind of treat imaginable. My boys look forward to it every year and now that they are a little older, than can help! Yay! We have so much fun making goodies for our cookie trays and holiday parties. We’ve got some yummy additions this year that I’m super excited about, especially these Peanut Butter Pretzel Truffles. My Aunt Pam makes truffles every year – dozens upon dozens of truffles that she sells to friends and family. They’re delicious. Like melt in your mouth good. They’re the traditional truffle made with different flavored liqueurs and they are just stunning. I love the simplicity of my aunt’s truffles – easy and elegant. 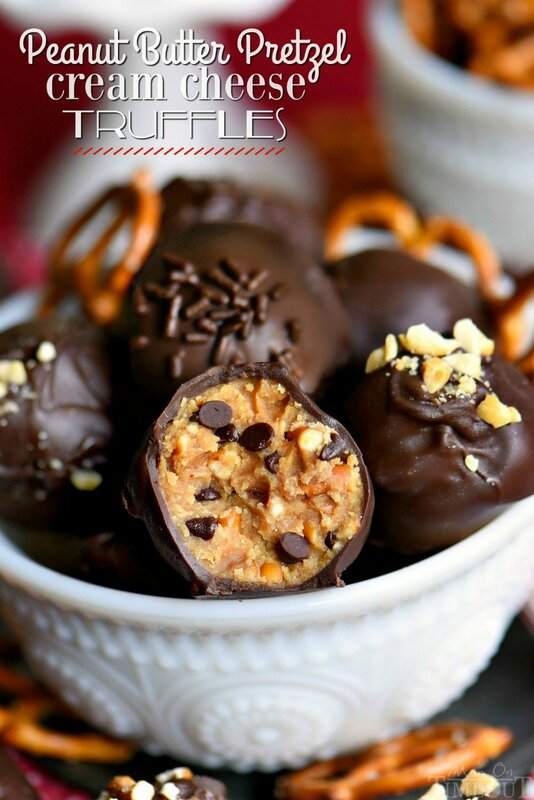 Just like these Peanut Butter Pretzel Truffles. I love truffles a lot and although these peanut butter pretzel truffles are nothing like the classic ganache-filled truffle, they’re sure to be a welcome addition to any entertaining you have coming up this holiday season. This combination is so spectacular because it combines the richness of peanut butter, the creaminess of the cream cheese, the sweetness of the chocolate and the saltiness of the pretzels. I mean, WOW. What more could you ask for? 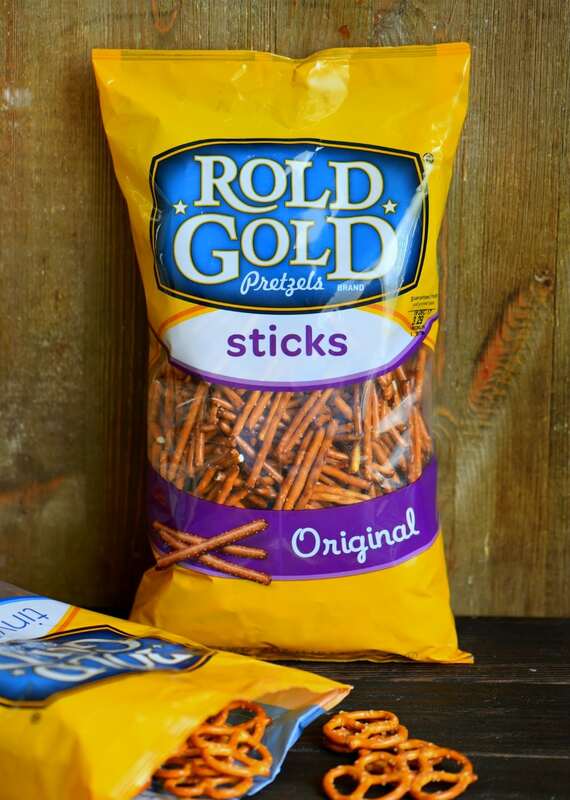 I crushed up some Rold Gold Pretzels – the sticks or tiny twists both work – and mixed them together with the cream cheese, peanut butter, sugar, and vanilla extract. The addition of mini chocolate chips was a spur of the moment decision and the boys were totally on board. I think it makes the center of the truffles really pop. Plus? Chocolate. I had some extra pretzels that I used to decorate the top of the truffles, giving a clue as to what’s inside. Those, along with some crushed peanuts and chocolate sprinkles, helped take these truffles to the next level. 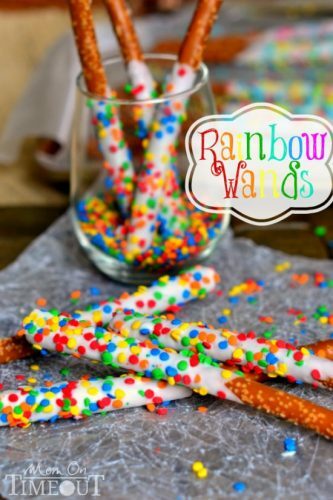 These fantastic candies were a breeze to make and I’m sure we’ll be making several batches in the coming months. Everybody loves a truffle! 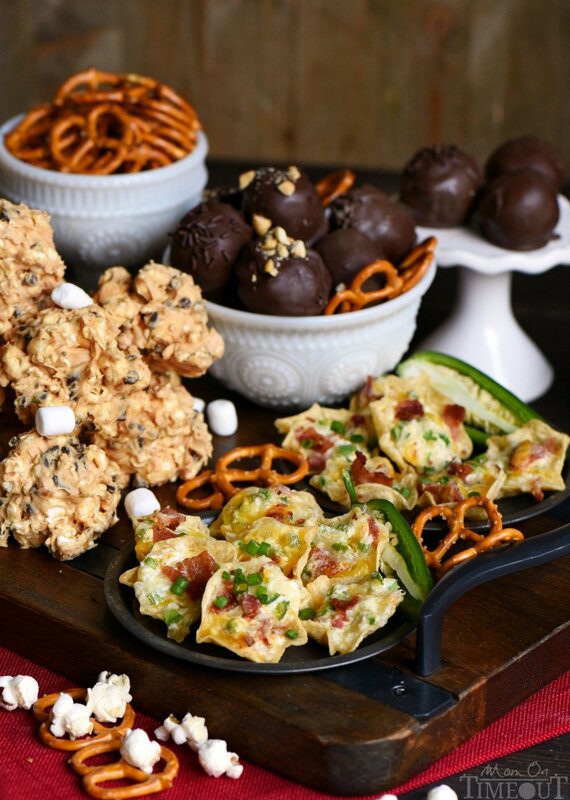 I’m all about easy entertaining so make sure you check out these No Bake Avalanche Popcorn Treats and Bacon Jalapeño Popper Bites – perfect for a party! Each of these recipes can be made in advance (the Bacon Jalapeño Popper Bites just have to be baked at the last minute) and are real crowd-pleasers. I hope you give each one of them a try! Share your favorite recipes for the holidays with the hashtags #mingleinabox and #sweepstakes to enter in to win a Merry Little Mingle Box that Frito-Lay is giving away every day. The box will include everything you need for your perfect holiday party – décor, activities/games, recipes, music. Click here for more information. Share your favorite recipe on social media using the hashtags #mingleinabox and #sweepstakes. One box a day will be given away for 30 days. Visit www.fritolay.com/mingleinabox for more information. 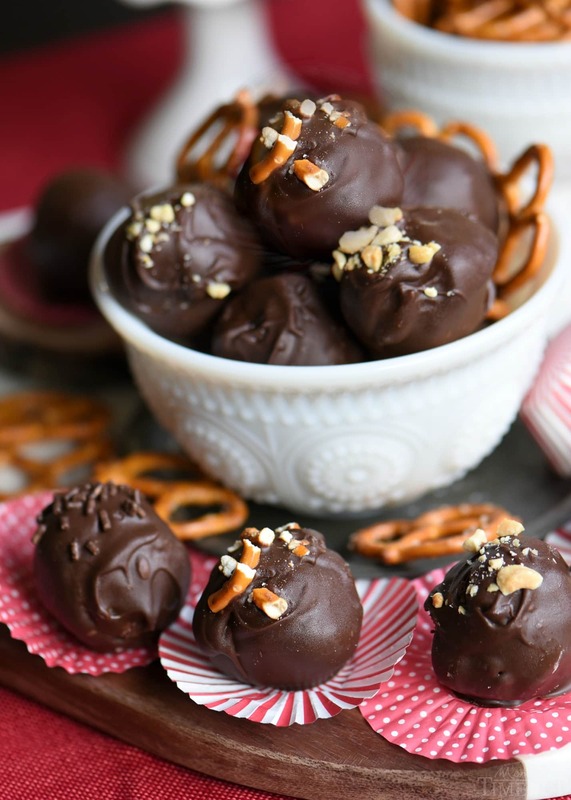 It's not a party without these easy Peanut Butter Pretzel Truffles! Extra creamy and delicious and loaded with peanut butter, chocolate chips, and pretzels! The ultimate sweet and salty combination! In a large bowl, beat cream cheese until nice and fluffy. Add peanut butter and beat until thoroughly combined. Beat in powdered sugar and vanilla extract. 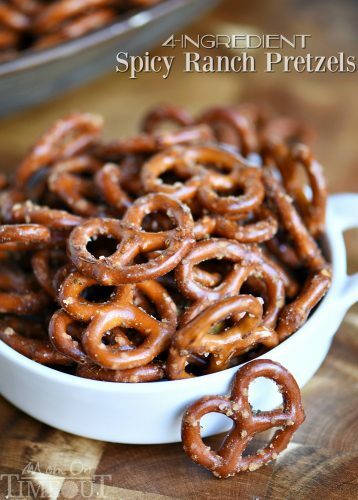 Stir in crushed pretzels and mini chocolate chips. Shape into 1-inch balls and place on prepared baking sheet. Refrigerate for one hour or freeze for 15 minutes. Melt chocolate candy coating according to package directions. Dip balls into melted chocolate, and place back on baking sheet. 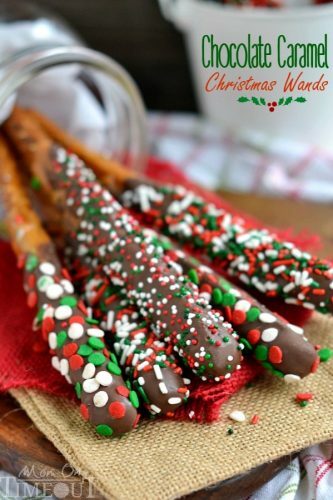 Sprinkle with chocolate sprinkles, crushed peanuts, or crushed pretzels if desired. Disclosure: Frito-Lay has compensated for this blog post. Thank you for supporting the brands that make Mom On Timeout possible! I have spent way to long trying to make these. I have checked and rechecked the ingredients and have missed nothing. I am finding it hard to get a ball made with out crumbling. Do not know how I am going to dip them in chocolate. Without them crumbling. Any suggestions? Sure! Sounds like you have a little much in the way of dry ingredients, most likely the powdered sugar. Just add in a little peanut butter – a tablespoon will probably do it – and see if that helps. Yum, does not even begin to sum up how good these were! I now have to make these for every holiday & girls night 🙂 Thank you for sharing!! I tried several times to print the recipe for the peanut butter truffles, but even tho there was a directive to print on the recipe, it would not print. Help! Hi Norma! Did a new window pop up? If so, just right-click and select print. Let me know if that doesn’t work!